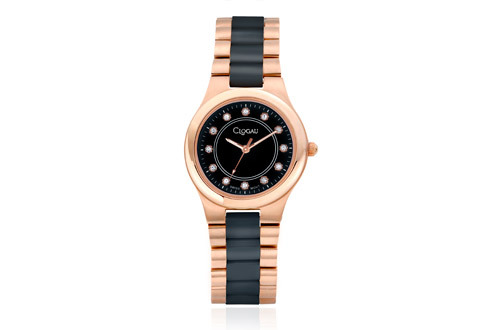 A beautiful watch which looks sophisticated and elegant and a real head turner. Designed to fit a wide wrist, 4 segments were easily removed by my local jeweller to fit my wrist perfectly. A clear dial with diamond accents to catch the light and a Swiss movement denote style. It looks great worn with casual wear and dressy evening clothes, a good day to evening and any occasion watch. I am very pleased and delighted with this purchase which reflects the attention to detail and excellence of all Clogau pieces.